Puggles & Pitties is excited to announce that we are partnering with the San Diego Humane Society during the month of October in an effort to promote the positive qualities of pit bulls and encourage responsible pittie ownership. Come by on October 6th and 20th to participate in the fun and meet our beautiful Karma. We’ll also have information about the pit bull type dog and training and behavior tips. For more information about the events scheduled throughout the month, see the announcement below from the San Diego Humane Society. 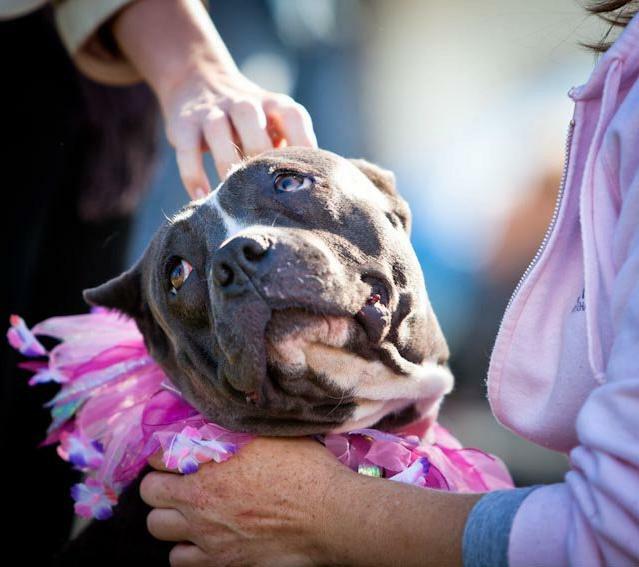 In honor of Adopt-a-Shelter Dog Month, the San Diego Humane Society is planning a month packed with pit-focused activities and incentives during “Dare to Bull-ieve”. We are excited to celebrate the pit bull type dog in our first ever Bully Beauty Contest and you are invited to participate! 20 dogs will named as finalists and featured during a special event on October 6th at our Gaines St Campus (10 dogs) or October 20th at our Oceanside Campus (10 dogs). There the finalists will be invited to participate in a pit bull only beauty pageant. Your dog will strut, perform, and pose for local celebrity judges and community leaders as they look for the Best Human-Animal Bond Story, Most Talented, Most Beautiful, Best Wag, and Best Ambassador (overall winner) in the group. Each of the Top 20 will be rewarded as a finalist and great prizes will be awarded to the winners of each category. Does your dog have playmates? Where is your dog’s favorite place to play? Please provide a current photo of your animal with your nomination. Submissions are due by September 21, 2012 and will be reviewed by a diverse panel of San Diego Humane Society staff. Winners will be notified by September 26, 2012 and details of the event will be finalized. If you are unable to attend our Bully Beauty Contest, we invite you to take advantage of these other “positively pit” opportunities. Waived adoption fees for pit bulls. 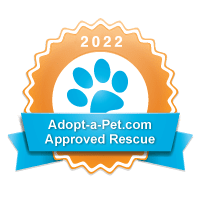 Fit Your Pit – Pit owners are invited to the San Diego Humane Society’s retail store, Muttique, to fit their pit in a Sensation Harness and receive a 30% discount. And, if they trade in their prong or choke collar they will receive a 50% discount. Name tags are free too! Spoil Your Pit – Pit owners are invited to attend our Project KEPPT events for an opportunity to microchip and license their dogs at no charge. Tots & Tales – Children will be entertained with a special story time featuring two children’s books with positive pit bull messages. Happy Hour Lectures discussing Vaccinations and Acupressure. On October 1st our website will detail out all the dates and activities! www.sdhumane.org.